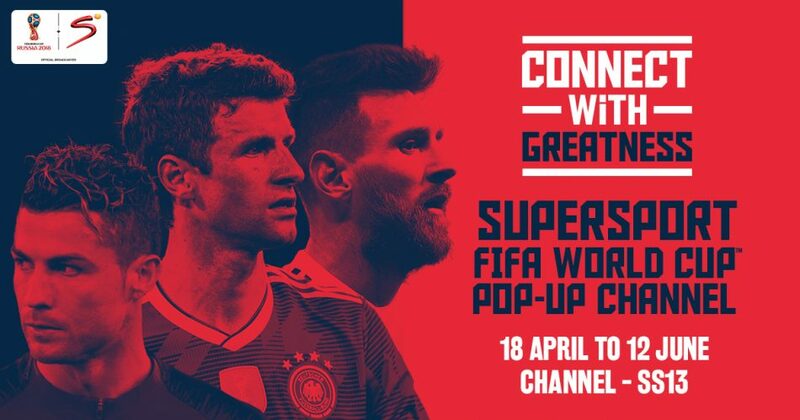 Johannesburg, April 10 – SuperSport’s countdown to the 2018 FIFA World Cup will begin in earnest this month when the switch is flipped on a 24-hour pop-up channel dedicated to the tournament. Two months ahead of the soccer feast, on April 18, SuperSport 13 will come alive with a compendium of content including great legacy footage, highlights, documentaries, FIFA films, classic matches and interviews. The channel will also feature warm-up matches to get fans fired up for the real thing beginning in mid-June. All 64 World Cup matches of the 2018 FIFA World Cup will be available on all DStv packages as well as on the GOtv Max and Plus packages while GOtv Value customers can view a significant number of games. GOtv Lite customers can also enjoy a select number of fixtures available on free-to-air channels. Viewers can also tune in to Maximo 1, Maximo 2 and Maximo 360 for Portuguese-language coverage. Africa’s challenge will be led by Senegal, Nigeria, Egypt, Tunisia and Morocco.